Logo’s–Tired tonight and feel a raging headache coming on but just had to post the logo that I had made. I plan on using it on the website and as a bookmark in my ebooks. Kinda lovely, I think. Ideas–So, the drunken muse calls me last night (I love it when she calls me tipsy, we have the craziest ideas that usually turn into fantastic ideas) Anyway, she tells me she can’t let go of Elizabeth the Crazy. Over a year ago, we created a character named Elizabeth. 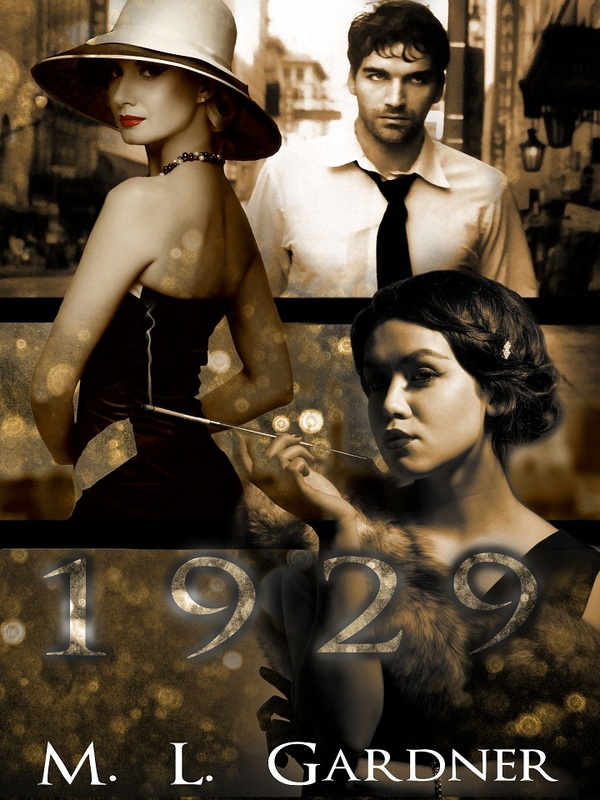 And for a short (short) time Elizabeth’s Heart was part of the 1929 Series. She was this crazy chick who (spoiler alert) had Aryl during his stint with amnesia. ((No, I still will not say where Aryl has been for the last year.)) And she was nuts. Split personality, to be exact. And to top that off, we threw in some paranormal stuff. Well, the trial run didn’t go well. It was too much of a jump from ‘normal historical fiction’ to the crazy nutjob who’s ghost lover refused to leave her side while she presses her second personality onto poor Aryl. I was quite sober when I wrote that book, I promise. (It’s a good book, in a strange freaky sort of way but just didn’t fit with my Rockport people. So, I pulled it and scrubbed any trace of Elizabeth from 1929. I tucked the file away and decided to rewrite the second half and give her a happy ending. I really really wanted to give her a happy ending. And, I knew it belonged somewhere. So, back to my drunken muse. She/We have this brain blast of how we can work Elizabeth the Crazy into the book I am at the tail end of, Reclaiming Katie. (Which is actually being written by Jane Carrington, not MLG. Not that I’d know anything about split personalities.) Katie finds an old journal and begins reading it and feels compelled to find out more about this woman from 100 years ago. Well, the woman who wrote the journal turns out to be Elizabeth’s mother. I won’t say too much more about that so I don’t give away any spoilers, but those that have been asking about Elizabeth’s Heart will be happy to know that the second half will be rewritten and republished. The way Elizabeth the Crazy fit into the subplot of Reclaiming Katie was seamless, as if it had belonged there all along. Why are people losing their shite? There are a few things I never intended this blog to be. Politics, pop culture events and hard selling of my books are the main points I wanted to avoid. But it’s hard not to post something this morning about people going nuts. It seems like people are losing more than their jobs, homes, cars and dignity. They are losing their minds. Yes, some of these are drug related but a few cannot be explained so easily. And in the after math of the mass shooting in not so far away from me Seattle the other day, I just can’t help but wonder why. It could be sun disease, I guess. Flares, radiation and geomagnetic storms can cause our brains to short circuit, some researchers say. Others, (and I lean on this theory heavily) say that we are simply suffering from information overload. Like trying to download five things at the same time on an old computer. It slows way down, and then freezes up or shorts out. Combine that with the overwhelming daily stress of survival and it’s a recipe for disaster. It would appear that once you fall through the bottom of Maslow’s hierarchy pyramid, one reverts back to an animal like state in order to obtain those things on the first, most basic level. It rarely works out well. I know that I am very sensitive to information overload and get very anxious when I try to input (or output) too much at one time. These days, I am only able to write about 3500 words a day. Not a fantastic number by any means. Not the way I want to produce. But after that, my mind tends to wander and I get that “I’m done” feeling. I simply can’t write anymore. I get irritated if I try. I have a few close friends who report the same problem. Back in the Depression, mental illness was an overwhelming problem. Insane asylums were packed to the gills. Crime was rampant. Alcoholism and domestic abuse skyrocketed. Most people lived on the bottom floor of Maslow’s pyramid, and the concerns of the day were survival. It is no coincidence that in the Theory of Human Motivation, morality, lack of problem solving and prejudice is at the top, while food, water and safety are at the bottom. One can see why someone who had never stolen before, and even loathes thieves, would steal or attempt to steal to feed himself or his family. I’ll state the obvious that when a society is consumed with their next meal, their home foreclosing, losing their job, or even the threat of these things happening, it will change that person’s moral compass and self preservation reigns, to hell with laws. The last bit of history seems to be repeating itself–on steroids–and humanity seems to be losing its shite. It’s not much, but this month I have committed to donate a bag of groceries to the local food bank every time I go to the store for my own family. Summer is hard for families with children home for meals they ussually recieved at school. Food banks are running out of supplies all over the country. If we all find someway to give, in what little way we can and keep humanity and compassion alive, we might can ease each other through this second Great Depression. And trust me, the party has only just begun.